When the game gets intense, you need a shoe that can handle it. and secure supports that responds from the smallest to the most intense change in stance. combined with Mizuno Wave technology to provide a perfect snug fit, and luxury comfort. • A seamlessly textiled upper structure combined with Dynamotion Fit Bootie provides premium comfort and a soft fit. • New U4icX midsole provides unrivalled softness and comfort that last the whole game. • Smooth roll-off from heel to toe. 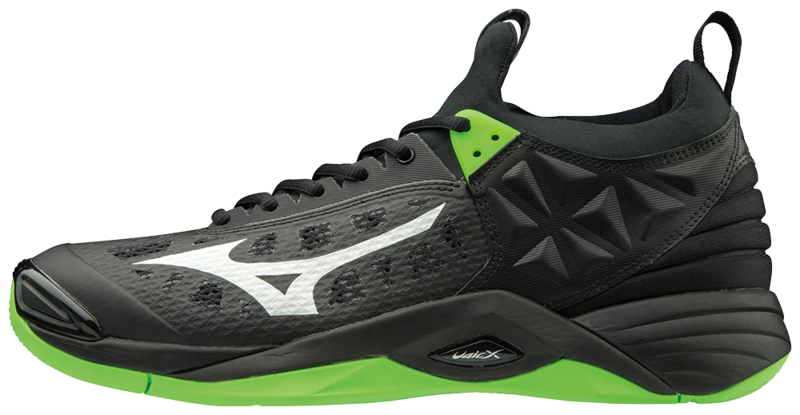 • High density EVA insert and Mizuno Wave technology in the rearfoot provides premium level stability.